Savonlinna is a place where the tranquil beauty and shimmering lakes are disrupted only by the gentle hum of Nordic romance and poetic reverberations of opera. Savonlinna is situated in the heart of the Saimaa lake region and is home to over 35,000 people. Popular attractions include Olavinlinna Castle, Savonlinna Provincial Museum and Savonlinna Little Church. Get ready to feel the crisp tranquility of Finland with cheap flights to Savonlinna. Savonlinna is home to Savonlinna Airport (SVL), which is a 20-minute drive from the centre of the city. Nestled in the heart of the largest lake district in Europe, the city of Savonlinna is famous for its tranquil atmosphere and magnificent tapestry of glittering lakes and green islands. 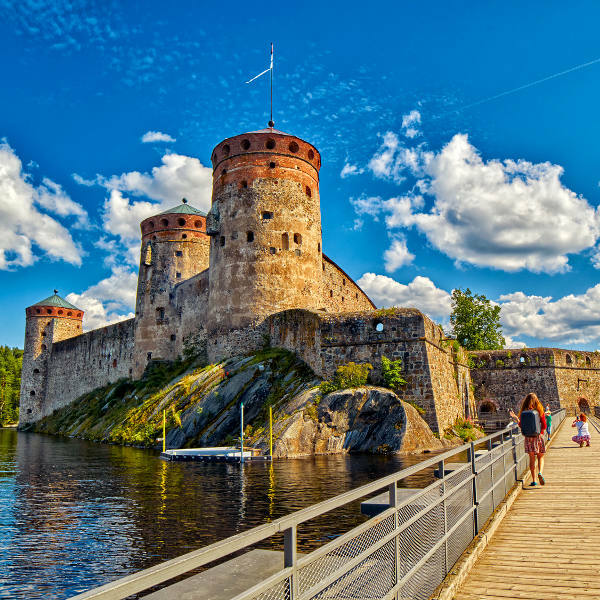 Perched on a rocky islet in the middle of Savonlinna is Olavinlinna Castle: a 15th-century fortress that rustles with tales of medieval kingdoms and roaring battles. Discover more of this ancient architectural wonder. Savonlinna offers the perfect base from which to explore the Finnish Lakeland. Spend your days paddling through gleaming canals and skiing across lakes that stretch for miles. Savonlinna experiences a cold and temperate climate with comfortable summers and snowy winters. The best time to visit Savonlinna depends on what you want to experience. The landscape unfolds beautifully during summer (June to August) and warm weather lures locals towards the lakes and forests. 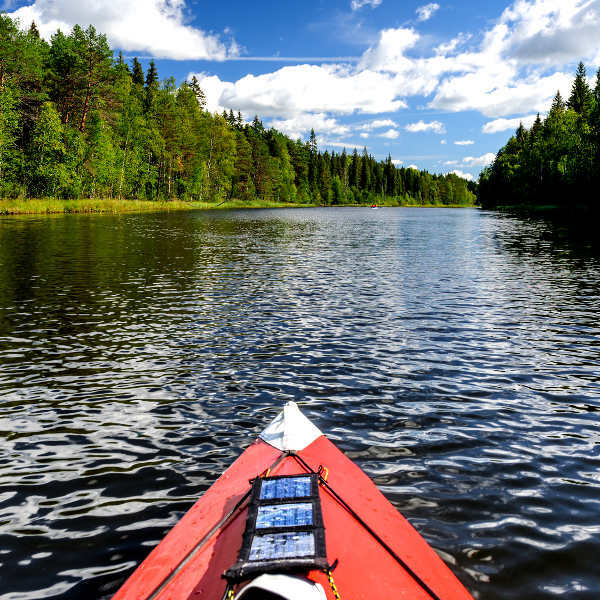 These months offer excellent canoeing, camping, lakeside picnics and a chance to experience the midnight sun. The Savonlinna Opera Festival happens in July. For magical snowy landscapes and thrilling winter activities, winter (November to March) is the best time to visit Savonlinna. These months offer superb ice-skating, cross-country skiing, snowshoeing, ice fishing and snowmobiling. For cheap flights to Savonlinna, the best time to visit is between September and March. Savonlinna is the pearl of Lake Saimaa and a place where life is just good. It is a place where the romance of medieval history can be heard in the gentle susurrus of pine forests, roaring cadenzas cleave through tranquil lakes, and the streets hum with trademark Nordic nonchalance. Encircled by Saimaa Lake, a sacred jewel of Finnish culture, Savonlinna nestles in the heart of one of the most beautiful regions of Finland. The surrounding labyrinth of canals, islands and lakes offers a wondrous playground for nature lovers and adventure enthusiasts. Olavinlinna Castle will seduce you with its grand architecture and medieval tales. Guided tours offer a chance to venture into the fortified heart of this ancient fortress and chase the whispers of 15th century soldiers up its stony turrets. The Savonlinna Opera Festival takes place every July in Olavinlinna Castle. It is an internationally renowned music event that celebrates Finnish independence and never fails to seduce with its robust arias and romantic decadence. Compare several airlines and book your cheap flights to Savonlinna online at Travelstart! Savonlinna is a safe city. Travel insurance to cover theft and medical expenses is recommended. There is a threat of terrorism throughout Europe. Remain vigilant in crowded areas and report any suspicious behaviour to the authorities. Petty crime such as pick-pocketing and bag snatching can happen, so you should avoid carrying large sums of cash and valuables. You should familiarise yourself with the local laws and customs before arriving in Finland. Proof of yellow fever vaccination is required if you are travelling from an infected country. 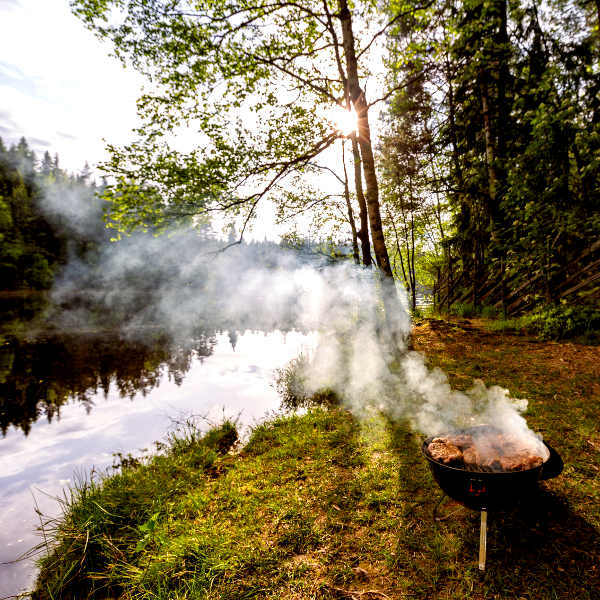 Precautions should be taken to avoid mosquito and other insect bites, as tick-borne encephalitis is present in some parts of Finland. Immunisation against hepatitis B and rabies is recommended. Routine vaccinations include MMR, diphtheria-tetanus-pertussis, meningitis, varicella, polio and influenza.